Every year Business in Vancouver Magazine ranks the top 100 tech companies in BC based on number of employees, and this year Level4 is honoured to be included in that list. 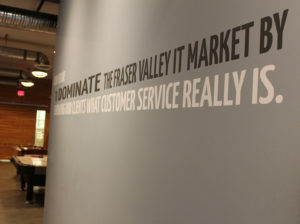 British Columbia has become a world leader in the technology industry. According to the government of BC’s website, the technology sector provide over 100,000 jobs and generates more than $81.6 million in annual revenues in this province. Interested in partnering with Level4? Contact us here.